There are several popular perennials that are especially easy to grow for the beginner. They include geraniums, black eyed Susan, asters, zinnias and yarrow among others. You can begin indoor planting any time of the year but if you start in late winter, perennials should be large enough to move outdoors by the time the nice weather appears. 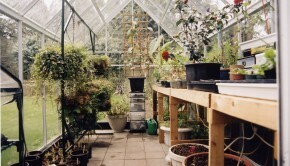 If you have a greenhouse, you can start your plants much earlier, so they will be more mature before planting outside. After purchasing your package of seeds, the first step is to find a shallow container with drainage holes for planting. A cardboard egg holder is perfect because it keeps the seeds separated in sections, you can easily perforate holes for drainage and it doesn’t cost anything. Fill the container with a special potting soil available that is specifically created for starting seed. Plant a few seeds in each section and sprinkle a thin layer of soil over top of them loosely. It is a good idea to label the seeds as you work to keep a record of what is planted and where. Water the soil generously being careful not to wash out the seeds. Place the container in a plastic bag to create an atmosphere of moisture and place it in a warm spot in your house. Heat seedling mats may have to be used indoors or in the greenhouse. Check the back of the seed packet for instructions on temperature and planting requirements. Within two to four weeks you will notice the seedlings germinate and this will be the time to remove the plastic bag and place the container in a sunny area. When a leaf appears you can transplant it into its own larger container using regular potting soil. Keep it moist but don’t overwater it. When spring arrives and the last frost is over, plant the perennial in your outdoor garden. Fertilize it lightly and keep it watered and weeded. Some perennials will bloom the first year but most will take a couple of years. Remember that most perennials take about three years to develop. Do not plant them too close together in your garden. They might look great in year one, but by year three, your garden will be completely overgrown and look haggard. Before the fall season arrives, make sure the soil surrounding the perennials is dry and add plenty of peat moss or compost for protection. 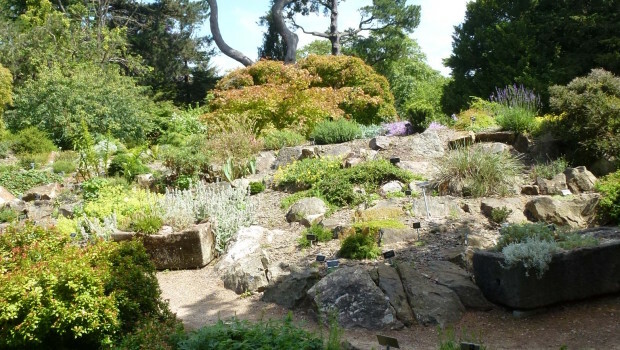 Perennials will remain dormant during the winter and when spring arrives again, it is time once more to clean the garden beds and start preparing the plants by cutting them back.